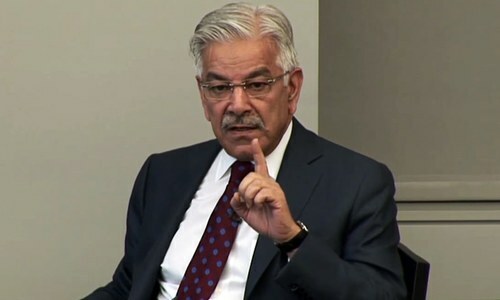 Foreign Minister Khawaja Asif, speaking about the new United States (US) policy in Afghanistan, told journalists at the Pakistan Embassy on Thursday that Islamabad is "genuinely concerned" about New Delhi's role in the plan. Asif said that the Pak-US bilateral relationship had taken a new turn after the announcement of Washington's South Asia strategy. He had said he wanted India to provide more economic assistance and development to Afghanistan. Asif said dividends of peace in the region would be elusive unless there is stability in Afghanistan. To achieve that goal both the US and Pakistan need to work closely, he stressed. “On our part, we have completely wiped out all the hideouts used by terrorists and anti-state elements. However, this is an ongoing process with continuing intelligence-based operations by law enforcement agencies across the country,” he added. “We have offered candid cooperation to Afghanistan during the recent visit of Chief of Army Staff Gen Qamar Bajwa and the foreign secretary to Kabul where they had successful and productive meetings with [Afghan] President Ashraf Ghani, the CEO Abdullah Abdullah and others in the Afghan hierarchy,” he said. Pakistan is extremely concerned about safe havens of terrorists which are mostly operating from ungoverned spaces in Afghanistan, which are more than 40 per cent of the total area of the country, he claimed. The minister claimed that a number of terrorist attacks in Pakistan in recent months had been traced back to elements operating from bases in Afghanistan. “I would like to reiterate that Pakistan will continue to play a positive role in bringing peace to the region through measures agreed upon by all relevant stakeholders," he said. Asif, who is currently on a visit to Washington at the invitation of Secretary of State Rex Tillerson, termed his "cordial and useful" meeting with Tillerson an "important interaction". “We want to build a relationship founded on mutual respect. We firmly believe that through consistent, structured and constructive engagement, at political and diplomatic levels, both the countries can continue to work together for the common goal of peace, stability and prosperity in South Asia. “We also see enormous investment and business opportunities in Pakistan for corporate America, particularly after Pakistan's remarkable successes in the war against terror and significant reduction in terrorist incidents in the country," he told journalists. Asif expressed the hope that international media, particularly US media, would play a positive role in Pakistan's efforts towards establishing regional peace and "reflect Pakistan's changing realities in its reporting". Dear Sir, Traditionally, US has been with Pakistan due to significant factors. And it is also true that Pakistan shed lot of bloodshed in many many ways due to terrorism. However, had Pakistan Army (which controls most of Pakistan's policy) played hand more smart, US is still could have been with you. Kashmir issue is blinding you and India to the point where we are doing nothing but feeding other countries (China, US) interests and economies by buying billions of dollars worth of weaponry. As long as hard-liners in both countries do not realize, situation will continue to be the same. I Love you my Minister KA. Kudos to Khawaja Asif! What a world of difference a strong foreign Ministet makes! It is misplaced priorities. Expressing concerns on importance given to neighbour should be second to concerns of growing extremism that are harming their own citizens. No doubt there is a need for a Minister who has clarified priorities. Whether you like it or not, Mr. Foreign Minister, India's role has been assigned to it by the world's only super power and it is set to harm you by all means available to it. The blame will be gladly claimed by it as that would serve the power players at the helm of affairs there for any losses suffered by it as well as inflicted upon you. So don't lose any more time and get prepared for what is coming our way. Our house is on fire and we are worried about those who are enjoying to see us angry. Focus on your earlier statement that our house needs to be set in order...once that it done nobody can harm you. KA is doing well as FM. After NS was removed from the scene some of his party members are coming into their own. I think they are surprising even themselves. I wonder why they could not speak like that when NS was PM. Well done! Indai is helping Afghanistan economically and we thank them for that, it not like they are building military bases. I hope peace will come soon to our region. Quite agree with the FM's clear stance on this issue. The USA is causing a serious regional strategic imbalance by even suggesting India has any role at all in Afghanistan. Pakistan will never accept this and thus Afghanistan will continue to remain a poor pawn in larger global politics. This issue has nothing to do at all with Kashmir, which is not a political but a major and long standing humanitarian crisis. India will need to put more money and even contribute troops. As the past has shown that even 100,000 troops weren't enough and therefore, any contribution is helpful. Also, the scope of the conflict is likely to be expanded, possibly, in western parts of Pakistan, as recent statements have indicated. This will require even more contributions. It is indeed nice to have foreign minister with a voice. One can argue about what is being said is right or wrong but having NO foreign minister and hence no voice was absolutely criminal. 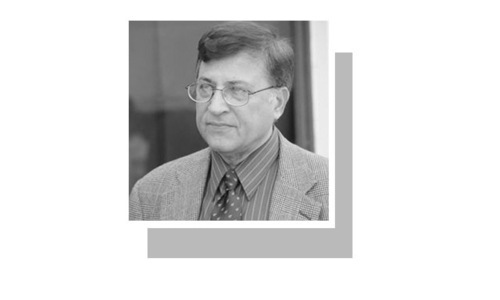 India's new role in Afghanistan is similar to its general role in the region chosen by the US which is to be an asset in its toolkit against China when the need arises. The Chinese economic miracle depends on access to US markets and investment by US corporations, by some estimates over 60% of its exports are sourced to foreign multinationals. The Chinese ambassador to the US was also invited to attend the Bilderberg Conference of Western elites and Xi is good buddies with Trump. The US China "competition" and threat depicted by the media is therefore largely fake news, but the US is concerned about protecting its assets in China and fears China going beyond the limited market expansion allowed it by the US, when that happens a mixture of military posturing and shifting the "carrots" to India will bring China back in line. During "normal" times, China has its foot on India's tail.Modi can therefore not make any moves,, which is a latent benefit of CPEC to Pakistan. Money make difference. Money need for the development of Afghanistan. For that US need only regional economic power houses rather than the countries who extend their hand in front of them for more fund even for their own survival. US is concerned about the way twin tower attack were carried out and perpetrators were found in Pakistan. The one who helped US locating main perpetrator is rotting in the jail instead of being rewarded to bringing criminal to justice. US is definitely angry. You remember for same number of causalities what US did to Japan. Bro, your logic is average. Even if Indo Pak were chums, India would have to spend billions of dollars to keep the northern borders safe. One has to find the shoes that fit best - neither too big nor to small. I can't help but wonder why nobody was particularly concerned when they adopted policies which pushed the American's into the waiting hands of India?